Season Two Promises Big Names, Exciting Announcements Since premiering their first season this past January, Worthington native Eric Gnezda and the team behind Songs at the Center (SATC) could not be more pleased with the local music show's rave reviews. 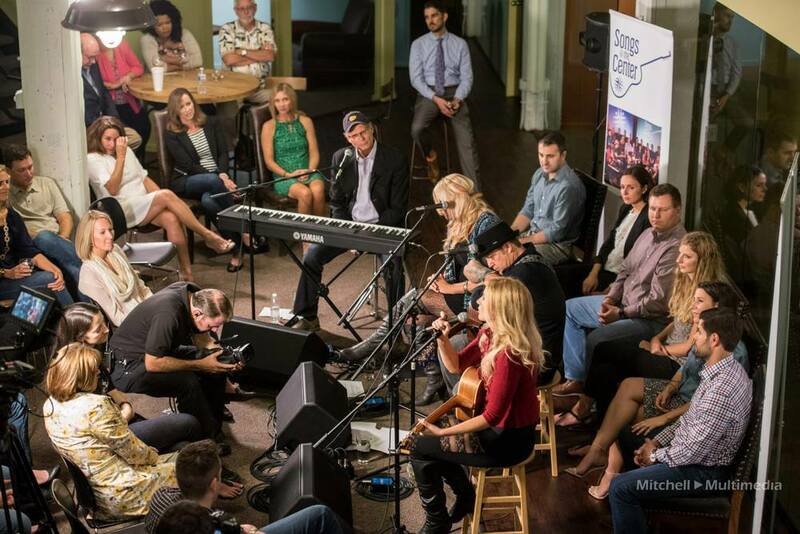 Each show, which features three or four singer-songwriters performing in the round and sharing the stage with the audience, is taped and then broadcast on WOSU-TV. “I’m so proud of the fact that we have been instrumental in cultivating an audience that appreciates this kind of music,” said Gnezda, who got his inspiration for the show from many years on the road as a speaker and singer-songwriter. Piggybacking on the success of the McConnell Arts Center's (MAC) First Tuesday Songwriter Circle and the growing number of outstanding singer-songwriter acts at Natalie's Coal-Fired Pizza & Live Music, Gnezda thought the time was right to create Songs at the Center. On October 23, fans will have the opportunity to attend the program’s next taping, featuring the internationally acclaimed trio American Gypsy, with master violinist Arkadiy Gips. The show will take place from 7 to 10 p.m. at the MAC and will include the taping of four episodes for the upcoming season. Folks who loved the first season of SATC are in for a treat this time around. Here are just a few of the reasons to watch a live taping. High-Level Talent - Thanks to the success of season one and to the growing popularity of Worthington's music venues, Songs at the Center is particularly excited about the level of national talent that will be featured on the show this season, including Rock and Roll Hall of Fame artist John Oates, Grammy award winning writer Don Henry and Americana/folk legend Tom Russell. Same Great Show, Evolving Format - While the original concept behind the show remains, the format continues to evolve. This season, instead of featuring three to four artists per episode, at least three of the episodes will devote the entire half-hour program to one performer. A few instrumentalists will be featured in this year's lineup. Community Outreach – In addition to taping shows and recruiting talent, Songs at the Center is also focused on community outreach. “We want to bring the energy that we feel to people all over Columbus,” said Gnezda. In addition to organizing performances at events like Concerts on the Green and the Columbus Arts Festival, SATC has been involved with fundraising events for the Worthington Resource Pantry and the Mid-Ohio Foodbank. Gnezda is also thrilled to announce that the group will be speaking and performing at the TEDxColumbus conference in November. For more information, check out Songs at the Center on FB, and sign up to receive the organization's newsletter at www.songsatthecenter.com.